Bel-Vue Heights is a subdivision of 282 homes on West Ridge Road and has a lot size of a quarter acre. It has a broad-ranging equal amount of 2 story, bi-level, & multi-level that include 1700 – 2800 finished square feet. Few include walk-out basements and all homes have 1-2 car garages. The majority of the homes were built in the 1960’s and 1970’s. Kids in the area will attend Field Elementary, Euclid Middle, and Heritage High School which is also rated as one of the top 200 high schools in the US as well as one of the best schools in the Denver area. 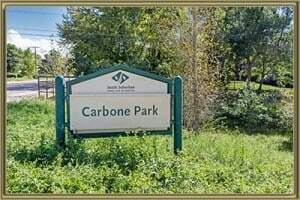 Horseshoe and Carbone Parks are located close by as well. See what your home is worth With an Instant Home Valuation Online. Want advice on selling your house? We provide a free staging consultation, pre-listing prep plan, and a Bel-Vue Heights real estate market analysis. Call us at 303-325-5690 to learn more. New to the Area? Call our Bel-Vue Heights real estate agent at 303-325-5690 to schedule your tour of Homes in Littleton CO.